If you are not sure which type of boat you want to rent you can also check our special and one way offers, or you can let us know what you are interested in, what you are looking for, and we will send you the best offer. Boat rental Croatia is becoming famous throughout the world, thanks to the huge number of our unspoiled Adriatic islands and islets, constantly improving quality of boats for rent, well-equipped marinas on the Croatian coast and high quality of services provided with every yacht rent in Croatia. Orvas Yachting, a company which has been successful in the boat rental Croatia business for many years, especially in the southern Adriatic region, offers you bareboat charter Croatia, if you appreciate intimate sunny idylls, or crewed charter Croatia, if you wish to leave the destination planning, meal arrangements and Adriatic weather reports to professional skippers, captains, chefs and hostesses, while you discover well-known and less known nautical destinations. 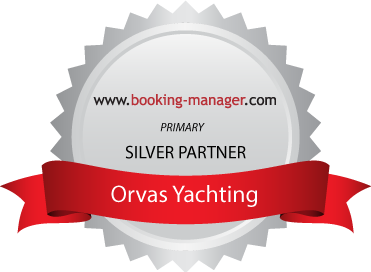 Orvas Yachting boats are located in Split ACI Marina, but we also offer “one-way charters”, which means you can charter a boat in Split and return it in Dubrovnik, or charter it in Dubrovnik and return it in Split. Apart from these two marinas, we have excellent connections with others and can arrange for you to avail yourself of their services. You can rent a boat in Croatia for one or more days. Most vessels are chartered for a minimum 7 day period, but we also have boats for one-day excursions. Rent a boat prices depend on the vessel type, length, age and charter period. All vessels are completely equipped for sailing according to the rules of the Croatian Register and include the necessaries for life at sea.